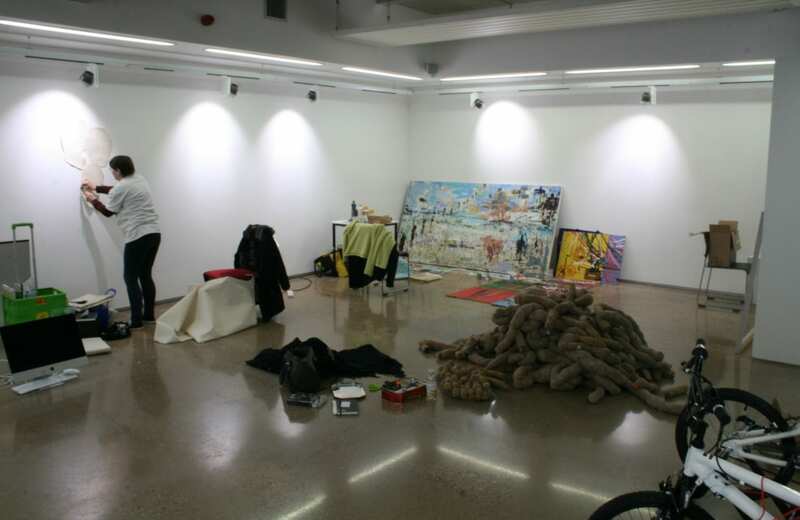 During the week there will be an ‘In progress’ show in the gallery of MA Fine Art students and staff. The idea is to subvert the gallery space to become a space of production; to show the making of art as opposed to making a show of art. 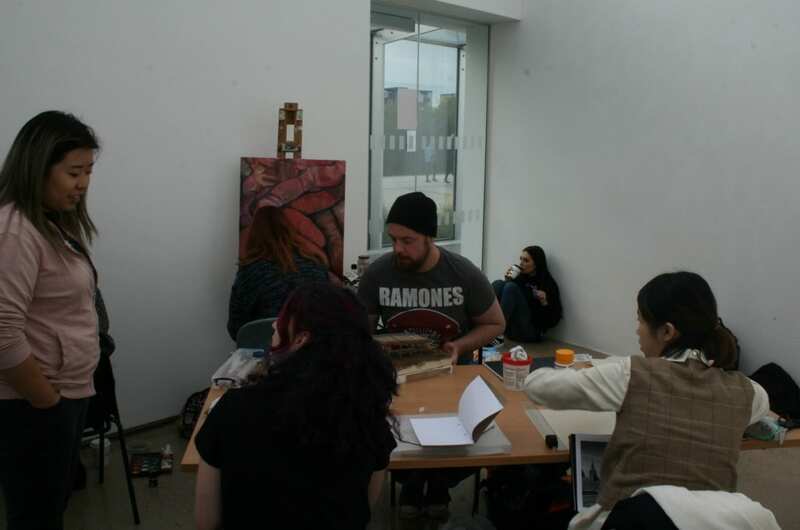 The idea is to turn the gallery into the studio, to be in there, to use it, to be active. The learning occurs through making and doing. Every part of the process of the artist making is visible to the visitor, come and see and feel free to ask questions of the artists as they work on making their ideas visible as art.